Regardless of the camera you own, or how often you take pictures, you’re going to need a camera bag or case to store and carry your photography gear. You need to protect your camera from impact, scratches and abrasions, and moisture. 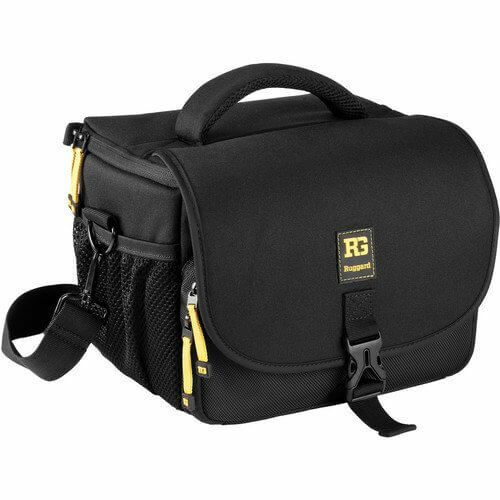 You can’t beat a good camera bag specifically designed to safely carry, protect and store all your camera gear. 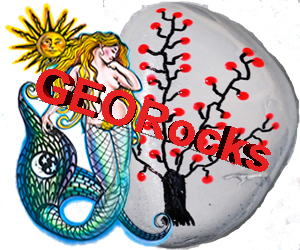 Fortunately, you have a wide selection of styles, colors, materials and sizes to meet your needs. Truly, there is something for everyone! Camera bags come in all shapes and sizes. Before embarking on your search for the perfect camera bag, it’s helpful to know the most common styles available. 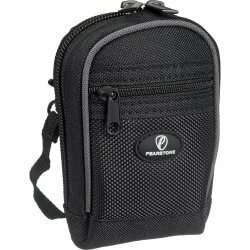 Camera pouches are small, lightweight, and are perfect for compact Point & Shoot cameras. These cases come in a variety of styles and fabrics. Hardshell cases with protective foam padding will protect your camera from impact. Some of these cases have a hand strap and fit easily into a purse or bag. Others have built-in accessory pockets to store batteries and memory cards. Some camera pouches are made for specific camera makes and models, so be sure to check with the manufacturer so you get the best possible fit. Shoulder bags are designed for convenience and usually have shoulder pad comfort. Shoulder bags are great for day trips and travel. Some have adjustable divider systems so you can customize storage for your gear and most bags are large enough to carrying your camera and a few accessories (lenses, flash, etc.). Also known as Fanny Packs and Beltpack’s, these packs allow quick access with minimum effort. 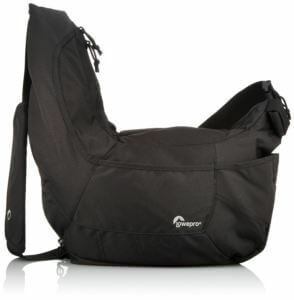 Waist packs are smaller and designed to carry compact Point & Shoot cameras, or a single DSLR camera. 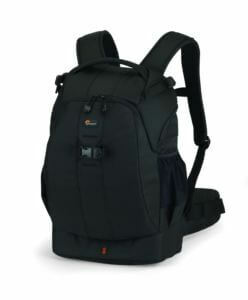 Some packs have a padded waist belt for comfort and swing-around design for convenience. 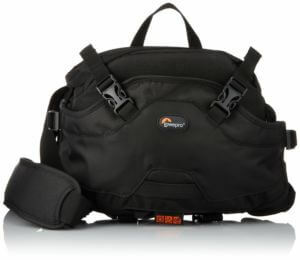 Designed for the photographer on the go and the outdoor enthusiast, camera backpacks have become increasingly popular with both amateur and professional photographers. These backpacks are comfortable, even when loaded with gear. Most have adjustable padded shoulder straps and adjustable waist and chest straps.